Atlantic Canada Cycling is a bicycle touring organization covering Nova Scotia, Prince Edward Island, Newfoundland, New Brunswick, and next door in Quebec. 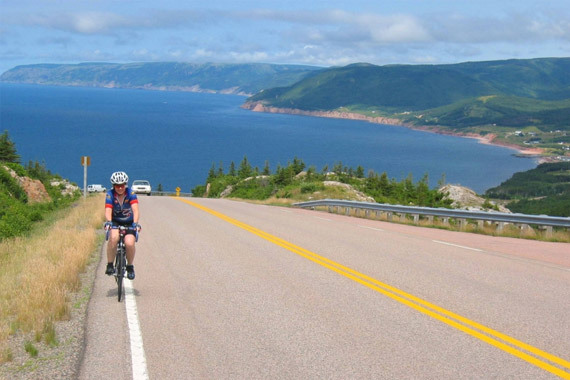 The Cape Breton Island Bicycle Tour is a once per year event offering the chance to see Cape Breton as no other form of travel can. It is a fun and friendly, with a great deal of socializing. Along the way, participants learn about Cape Breton’s history, discover its incredible variety, and experience what makes the island distinct.